For additional information about this book, visit the website backtotheisland.info. Mikael Mulcahy, after losing his family in the United States, decides on a whim to start life anew on a small cay in the Bahamas. He buys a small hillside cottage facing the Sea of Abaco, hoping to find peice of mind and to exorcize some demons by trying his hand by writing. He looks for work finding it at a funky seaside restaurant, Cap'n Jack's, and at Sears on a nearby cay. There he meets an extraordinary woman, Kate, who boldly moves in with him declaring to be his half-sister. Mikael learns she is being stalked by an ex-boyfriend because of her involvement in helping convict him of fraud with his Wall Street firm. What confuses Mikael however are the mixed signals he gets from Kate involving their relationship. Along with Kate comes an array of adventures involving her intriguing twin, Sara, who works for the SEC; Mikael’s old friend, Barney; a wealthy yacht owner, Spense, who plays music under the name "Dead Man" at Cap'n Jack's; an alluring barmaid, Lottie; and a massive islander, Peewee, who lives on an old grounded oceanliner in a remarkable setting. Also, mysteriously, a young island girl stops by the cottage each morning dropping off poems and sketches to get guidance from Mikael, forming an uncanny bond. Hopelessly entangled in webs of relationships, Mikael seeks to support his new friends however he can, including involvement in eco-terrorism in an attempt to preserve the pristine life on the little isle from unscrupulous developers. What follows is a rollercoaster series of deaths, abductions, mistaken identities, surprise reunions, and romances that are anything but traditional. In the end, things don't work out the way they seemed, and the characters face the vexing dilemma: Do we all have our islands we must return to? Author Timothy P. Munkeby spends most of his time at his lodge on Lake Vermilion surrounded by cabins for each of his five children, and their families, now totaling twenty-three. 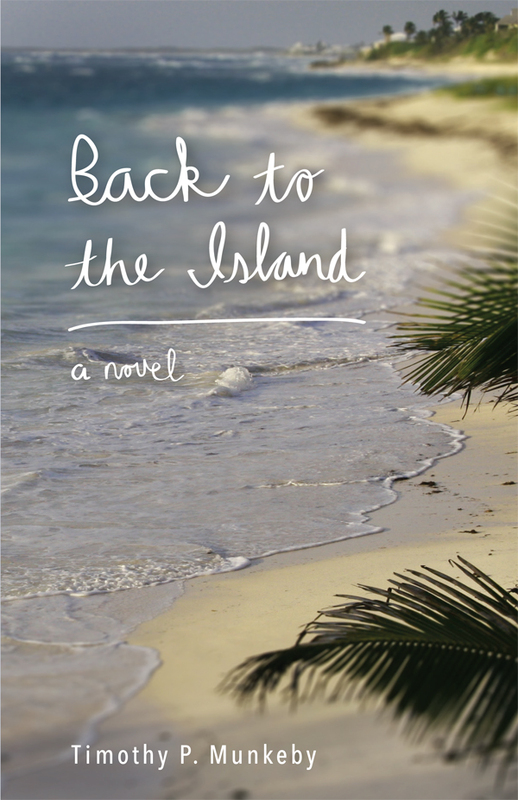 Initially Tim was a teacher of literature and subsequently founded a financial planning company before attempting his hand at writing...first non-fiction and now fiction: Back to the Island. His first book, If I Had a Million Dollars: How to Achieve Financial Independence Before Your Parents Do, was written as an easy read for young adults, who are facing a challenging financial future. Tim lectures at colleges and universities on Financial and Career Literacy when he’s not writing, hiking, biking, kayaking or skiing.